Scientists have discovered that the very first cry of newborn babies carry the imprint of the way their mother speaks. They found that a child's cry will be more melodic if their mother speaks a tonal language – one where a sound pronounced at either a high or low pitch can have different meanings. Examples of tonal languages include Mandarin, spoken in China, Vietnamese, Thai and Lamnso, the language of the Nso from northwest Cameroon. These languages require much greater vocal dexterity to speak clearly. Professor Kathleen Wermke, head of the centre for pre-speech development at the University of Würzburg who led the study, said the findings suggest early language learning begins in the womb. She said: 'The crying of neonates whose mothers speak a tonal language is characterized by a significantly higher melodic variation as compared to - for example - German neonates. 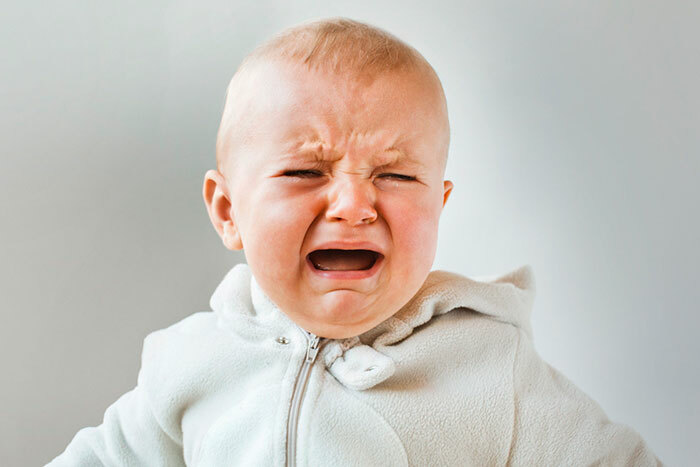 The researchers, whose work is published in two papers in the journal Speech, Language and Hearing, and the Journal of Voice, examined the crying of infants of the Nso. They found these babies cried with greater pitch variation than the children of German-speaking mothers. The rise and fall of tones during crying was also more intensive in the Nso children. The researchers also found similar results in children from Peking, but to a lesser degree. The Nso use a complex tonal language that uses eight different tones to give meaning to words but also have specific fluctuations in pitch to alter the meaning of certain sounds further. The scientists say their findings indicate that babies begin learning languages far earlier than previously thought. Baby babble, for example, was thought to be important in language development in young children. But the new work suggests this process may even begin while children are in the womb in a process known as maternal imprinting. There may also be some genetic effects, the researchers say.